Fancy winning a bundle of personalised travel accessories for summer? Of course you do! 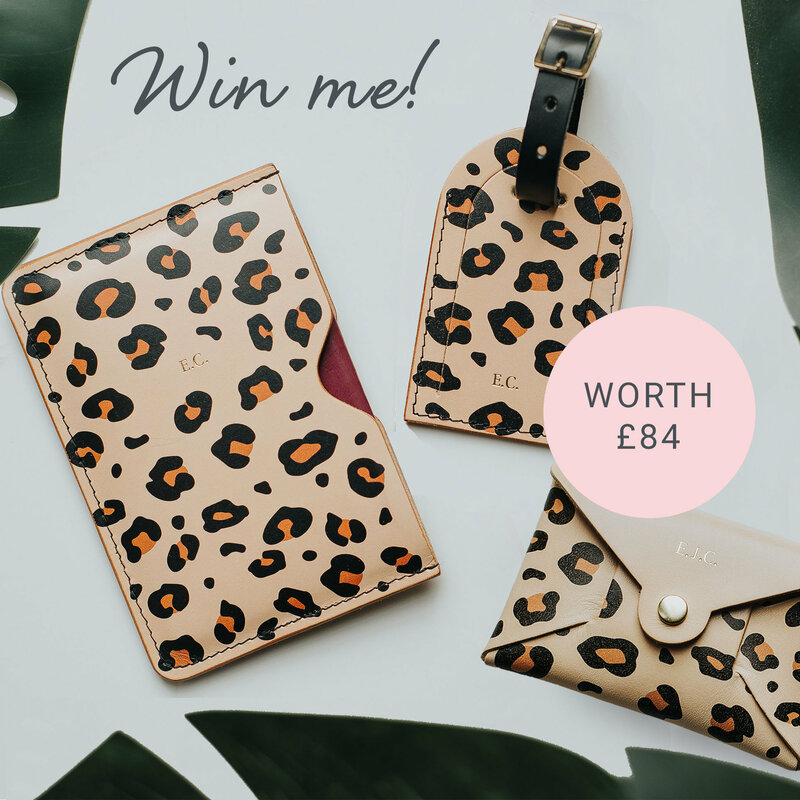 To celebrate the launch of our new travel collection we are giving away a set of personalised accessories worth £84, including a passport holder, luggage tag and coin purse. One lucky winner will be selected at random to win a set of their choice in any of our new prints and colours. Want to be in with a chance? Simply enter your details in the form below. This giveaway ends 23:59GMT Thursday 18th April 2019. A winner will be selected at random and notified by email on Tuesday 23rd April 2019. This giveaway is in no way sponsored or endorsed by Facebook. To hear about more our competitions, exclusive offers and new products, tick the box below.